Andy Murray has paid the price for playing the Hopman Cup this week after Robin Soderling’s win in the Brisbane International moved him up to fourth in the world rankings. The Hopman Cup isn’t a ranking tournament and had Murray played in the Brisbane International, he would have entered the Australian Open as the fourth seed and not the fifth seed. As it is, Robin Soderling enters the Australian open as the fourth seed and as such, will have the easier route to the final and is priced at 12/1 to win the Australian Open. Murray is 6/1 to win the Australian Open but will have to face two of the world’s top three in Rafael Nadal, Roger Federer and Novak Djokovic if he is to win his maiden Grand Slam event, but a strong winter training schedule means Murray is in peak fitness ahead of the Melbourne tournament. In last year’s Australian Open, Murray’s hopes of his maiden Grand Slam were ended in the semi-final by Marian Cilic in a match the Scot was expected to win. But many believe that Murray is close to becoming the first male Brit since Fred Perry to win a Grand Slam tournament although the tennis specials betting market would suggest otherwise. Murray is 1/2 to not win a Grand Slam in 2011 and 6/4 to break his duck. Novak Djokovic has publically come out in support of Murray this week and the Serb is backing Murray to break his duck over the next fortnight, despite also being in the competition. “He has all he needs to have in order to be a grand slam champion,” said Djokovic. 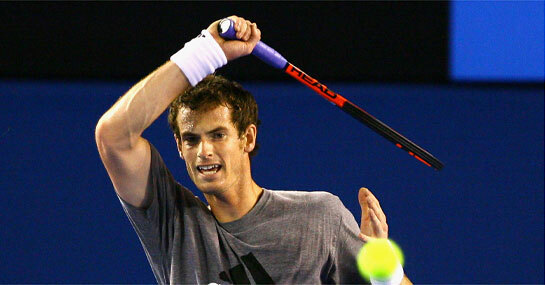 A £25 stake on Murray winning the Australia Open would return £175. New customers can sign up here for a free £25 bet.